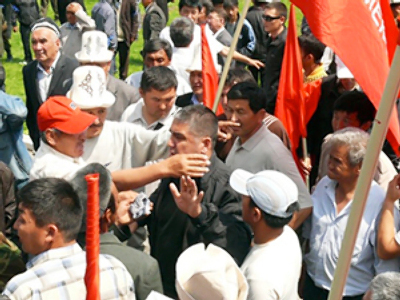 A presidential election in Kyrgyzstan will be held in October 2011, the interim government, swept to power by April’s bloody riots, has said. Roza Otunbayeva has been appointed interim president until December 2011. 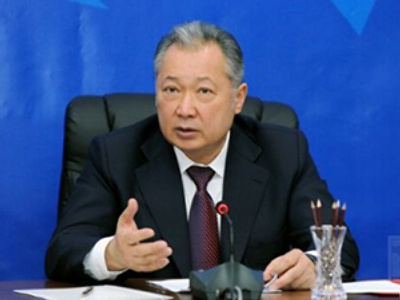 A new president of the Central Asian republic will take office on January 1, 2012, Omurbek Tekebayev, a deputy prime minister in the interim government, said. Also, a decree was issued on Wednesday appointing the head of the new government, Otunbayeva, as Kyrgyzstan’s interim president. The 59-year-old came to power on April 7 following the ouster of the former nation’s leader, Kurmanbek Bakiyev, and is likely to remain in office until December 31 next year. "The issue of Roza Otunbayeva's appointment head of state in the provisional period will be put to a nationwide referendum to be held on June 27, 2010," a spokesman for the interim government told Itar-Tass agency. The date was also set for a referendum on the constitutional reform. In addition to being head of state, Otunbayeva will carry out prime ministerial duties until a new government is formed following the parliamentary election to be held in October this year. 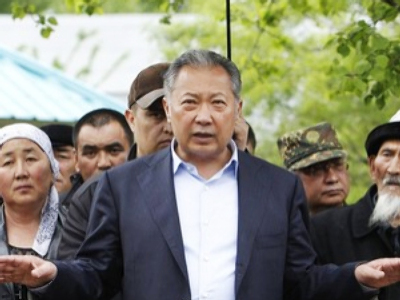 "Many members of the interim government will participate,” Tekebayev said, as quoted by Itar-Tass. Under the law, he explained, they must step down from office. However, that would mean that the republic would find itself without leaders. "In these conditions, Kyrgyzstan needs a politician capable of taking the country from one political phase into another. It will be a powerful political figure who can hold just parliamentary elections this autumn and keep stability in the country afterwards," the deputy prime minister said. Tekebayev believes that having agreed to become provisional president, Otunbayeva has sacrificed her political career for the sake of her country’s future since according to the decree she will not be entitled to run for presidency in 2011. The interim president also has no right either to be a member of any political party or to support any faction. Meanwhile, unrest in the rebellious country continues. On Wednesday, a state of emergency was declared in the south, following violent clashes between different ethnic groups which left two people dead and about 70 injured. "To ensure the security of citizens, the quickest possible normalization of the situation and a return to public order, the interim Kyrgyz government has signed a decree to establish the state of emergency in the city of Jalala-Abad and in the Suzak district from today to June 1," the government statement reads.